That's more like it, really satisfied with those 2 lives in stock. Nice to see another ALL on the board! Congrats. Hi all just getting my name on the board... not sure what version but it's a 3-in-1 cabinet together with Dragon Blaze and, oddly, 1942. It should be fine. It's probably the same old World version that everyone knows. Finally managed to pay a visit to HOG (Heart of Gaming) at Croydon yesterday and have a brief chat with owner Mark Starkey about his plans for the new year like relocating HOG to London zone2 for better revenue. 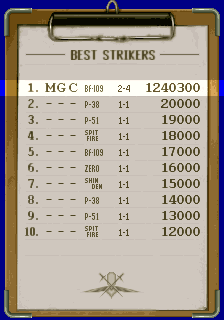 Got Mark install Strikers PCB and manage to loop the game without making any real effort. Probably need to bang in few more plays to dial in the second loop because I'm having trouble getting used to the joystick and the monitor so close to my face. Once I get used to that, I'll post some 2ALL scores. I just wanted to bump this thread so I can find it easily to post some scores possibly later today or during the coming week. Need to get Mark to tweek the cab a bit when we arrange to do a livestream 1CC sometime in the future. 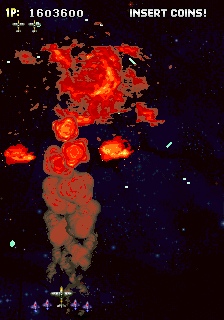 The run makes use of savestates, it's fake. Makes it worse that the player doesn't mention that he cheated. Everything on that channel is fake btw. 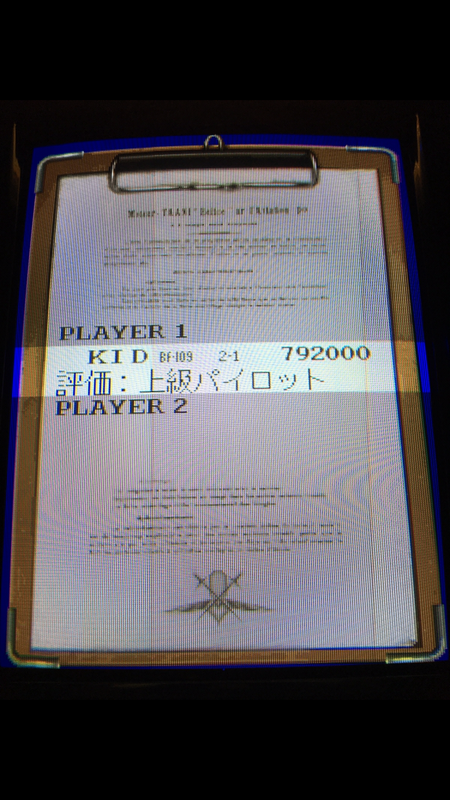 Also, there's an error on the Bf-109 scoreboard: Erppo's score is lower than Vludi's and Lyv's and is above from them. Thanks, sorry about that. Updated. Ooh, this is gonna be a high scoring clear, isn't it? Sort of, I want to get the 2-ALL while getting a decently high score. Please mark my score as played on PCB (World). Thank you! Not sure what to do about this. Does anyone have the PCB? If it's that big of a deal, I'm just gonna ban that version. I'm not splitting over something like that. I have the PCB and tested it. It appears to be an emulation error not present on the PCB. The slowdown is also limited to a very small portion of 1-1 and has no real advantages over the other versions. Therefore, I wouldn't ban any "Mame (World)" scores until it has been sufficiently demonstrated that this version suffers from any other severe slowdowns. So Ricardo has informed me that there is yet another ROM which is apparently the one I have played. My score should be marked as "Japan (unprotected)". My explanations above refer to this version instead. Please tell me if anything else is discovered. Well, Japan unprotected also has a very different soundrack... I personally prefer it for that reason. Don't like it to be honest as it sounds kinda tinny and lacks any weight to the sound.